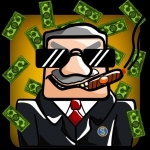 Clicker, IdlerRugby World Cup is one of the Clicker Clicker first game on the theme of sport! The game lets you choose your team among the 20 official teams.Click on the balloon get some balls, make investments, sign contracts, use the prestige mode if you block. Do some research to improve your team ...The game features a game system, if your team wins you will get a small reward. You may also bet on matches with a rating calculated based on performance in the competition.Finally you will learn the typical expression of rugby by clicking on images! 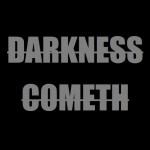 ClickerWhat if there was no sun?What if everything to ever exist was covered in impenetrable darkness?What if all light eventually disappeared just as easily as a fire goes out without fuel?A vision of horror, isn't it?Survive the evil lurking in the Darkness, relying only on yourself..."Darkness Cometh" is a minimalistic text-based adventure with incremental game design:The Player finds himself in a world where all the light sources are gone.Manage resources and suppliesCraft and construct toolsUpgrade your HideoutFeed the fireSurvive and progress using a simple interface, inspired by many other Text Adventure gamesDefend against creatures such as Imps or WargsPerform activities and discover the secrets of the storyNote: This is an absolutely free game. You don't have to pay for anything extra to play it! There are no ads, either! 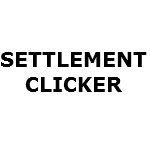 ClickerDo you like potatoes?The principle is very simple, click as possible to gain potatoes. Invest your money to increase your revenue per second. Quit the game and then come back, no worries production is also done when you are not playing.This is an incremental game is infinite, if your progress is too slow using the prestige mode that unlock incredible bonuses.Find out if you are the best thanks to the leaderboard and much more! ClickerHi! Our most recent android game is Idle Town. It tooks us about 6 months to make.Rule the most fun and competitive village in the world by building an empire of lemonade stands and ice cream trucks! CoughTouch the big and powerful coin in the town centre and gain Idle Coins. Build all kinds of business and take them to the next level by investing your money! 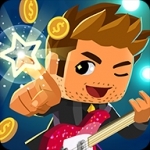 Idle Town challenges you to earn achievements, to bet your money, to achieve ambitious goals and to impress your friends with your precious, and virtual riches! Features:- Touch the grand and golden coin in the centre of your village to earn money. - Build an impressive village business with varying profit buildings. - Bet your money and register to earn exorbitant premiums or lose all your wealth. 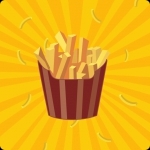 - Beat the record of your friends and be the most ambitious of all Mayors! Clicker, RPGYou can increase your levels to over 100LV from just 1 battle! An exciting game of steady progression. Go for the highest levels within a limited number of battles!A game where the goal is to raise your levels within a limited number of battles.FieldA vast field! On the field there are appropriate levels and bonuses helpful for getting through battles. Try to progress through the game efficiently!StatusWhen your levels rise, divide your status up among characters and efficiently defeat the enemies!BattleUltra exhilarating high speed battle! A player can unleash multiple attacks and critical hits according to his status.EquipmentLevel up efficiently with a variety of ultra powerful equipment! Clicker, Idler, RPGEmbark on an epic journey through the lands to grow ever stronger and defeat your enemies.Tap your way through forests, deserts, caves, jungles, swamps and more as you grow ever more powerful and face tougher opponents and creatures.Defeat bosses to travel to new areas and recruit new heroes to join your adventure.Your mighty warrior can attack enemies at a rapid speed and still stand to shield the group from harm.Your healing mage will use healing magic to heal your wounds.Your skilled rogue will shoot poisonous arrows that damage your enemies over time and slow arrows to hinder their advance.Tap with your godly powers to hurt your enemies and heal your heroes. Or unleash your wrath on your enemies with awesome powers while blessing your heroes with helpful buffs.Spend the gold and other loot you gather on your journey to upgrade your heroes and gain new abilities to overcome the adventure ahead. Good luck!FeaturesOver 70 different enemies and bosses10 different worlds to discoverA Distinct group of heroes with different abilitiesInteresting powers to unleash on your enemiesRPG elements with tons of skills to upgradeAchievements to unlockRidiculous amounts of lootPossibly infinite gameplayPuppet stage graphics! 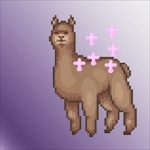 Civ Builder, Clicker, IdlerWorship the Great Alpaca and spread its word across galaxies.Hire priests and crusaders, build churches, conquer entire planets and more, all in the name of the Alpaca.Every building nets you more and more Faith, which you can spend to expand the area of the Great Alpaca's influence.Features:* Spend Faith to construct buildings from 10 available options. Better buildings net you more Faith per second. * See your empire grow with beautiful pixel-style graphics. * Submit your highest Faith score to online leaderboards. See who's worshiped the Alpaca most devoutly. ClickerWhen Fat is the new Fit, you gotta Eat! 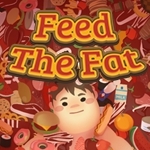 Fill your belly with your only true love: FOOD.Feed The Fat is a clicker game with minigames and food falling from the sky in an utopic limbo.Why should you be skinny when you can be awesomely fat? Reach the human limits of fatness and trepass them! Nourish yourself with your favourites foods where the secret desire of each of us can be fullfied: to eat to one's content.Food is love, fat is a love tank. Just like in a tamagochi, you will start with a guy that you will be able to grow... in weight. If you don't pay attention he'll get thin again, or worse, he'll die! 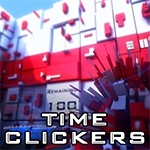 ClickerA free incremental / idle game with arcade elements. Catch falling aliens!Rescue explorers adrift in deep space. Colonize the universe by earning and spending resources. Research new technologies to increase your capabilities.Features:* Free to play! * Easy to pick up, but endlessly fun, arcade action that generates incremental resources for your civilization. Use these resources to build a cosmic empire and upgrade your civilization. * Choose how you play. 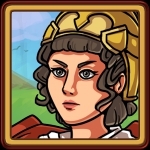 Gain resources through game play (arcade) or simply farm them with economics and research (Similar to idle games such as Cookie Clicker and Clicker Heroes). * Over 30 technologies to research, affecting both rescue missions and colonization. * 5 power ups - Including speed boost, gravity reduction, and the black hole. * Statistics detailing each element of your civilization's progress. * Over 40 achievements to unlock. * Endless replay value. Shift dimensions to conquer other universes, and become even more powerful. IdlerFEATURES- 99 levels to complete.- Lots of IDLE Items.- Merging the higher levels with Level-Up.- 7 unique hints: Undo, Create, Delete, Drip Cell, Swap, Lvl-Up Cell, Booster HOW TO PLAY- Swipe to move all the tiles of the same number to merge them into one of the higher grade.- Increase your capacity to collect more memory for Level Up.- Reach the higher levels to operate the higher numbers.- Buy and upgrade IDLE devices for automatic bytes collecting.- Try the challenges and good luck! Clicker, IdlerGod Squad is a game where you have to recruit and level up deities to fight the encroaching hordes of immortal beings trying to destroy the gods' undeniably awesome home, Omega Island. Home to many different pantheons of deities, it's down to the player to take up the mantle as leader to plow through the enemies threatening to disturb the peace. Mix and match gods to discover powerful new synergies, explore themed worlds populated with appropriate mythological enemies, learn the different abilities and characteristics of each god you command and save the island! 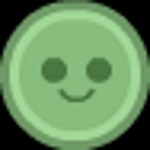 ClickerRPG Clicker is a fantasy themed incremental game simplified to one finger touch.No more getting lost in boring dungeon, just tap your way through diverse terrain and menacing monsters. 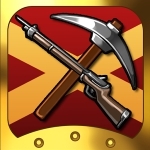 Find loot and rack up gold to buy the ultimate weapon. Research powerful spells and set the pixels on fire. Then, when your hero is ready, engage in epic boss fights where your hero’s strength and skill will be put to the test.We developed a unique inflation system to allow for exponentially powerful enemies as well as exponentially valuable loot for heroes to find. That means you can upgrade weapons and spells to do billions of damage with our crazy inflation system! 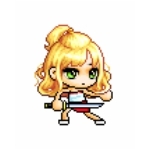 And since this is RPG Clicker, you can tap as fast as you can to do even more damage! 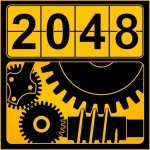 ClickerIn 1492, you arrived in New World with a group of pioneers. Fortunately, New World had plentiful resources and a mild climate to live in. Now the only one necessary is a leader - who can lead them in the right way. Could you be a mighty leader who settles in New World? Could you declare independence from the King for liberty? IdlerManage your own little hell in this dark humored idle game. ClickerAyumilove Idle Story uses assets from the popular MMORPG Maple Story and applies them to a clicker style game. 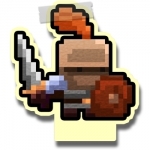 In addition to the normal "click to gather resources" style of gameplay, it applies a level system for the player's character, equipment, upgrades, and more.LevellingEach time the player kills (either by clicking or idling) a monster, they are rewarded with xp. 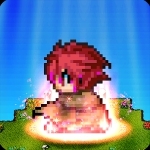 This xp is applied to the character and used to increment the character's level, improving their attack strength and chance of hitting a higher level monster. Monsters can be upgraded at any time, but it is possible that if the player chooses a monster of a level well beyond their own, they may not be able to hit it. 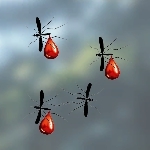 Higher monsters provide higher drops.EquipmentNew equipment can be bought at any time, though they must be equal to or below the player's current level for them to be used. The equipment can be upgraded at any time however (even right at the start of the game) proving that the player has enough pixels to purchase the upgrades. 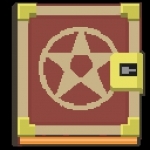 The upgrades are applied to the equipment the player currently has, and can improve things such as xp and pixels gained, accuracy, attack speed, and more.Purchasing and SellingThe game implements a system where pricing is randomly set within a range of the current market value of whatever is being purchased. 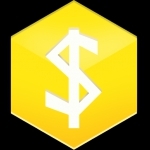 This means that the player can choose to decline a price and reroll for a new price, either slightly higher or slightly lower than the current market value. Early game, prices can have a base value of 10 and a range of +/- 3 pixels, meaning that the player can get as low as 7 to buy the item. Late game, this variance increases.